Stumbling round the streets of Daehangno in desperate need of something caffeinated I found myself falling downstairs into a brand new lovely little Gallery Cafe. 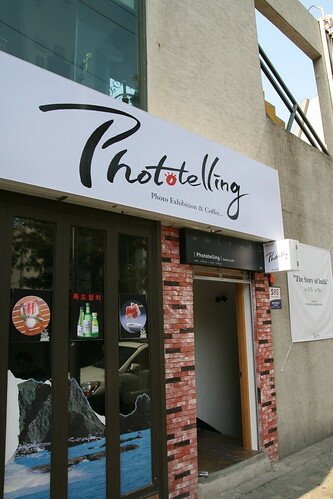 Phototelling just opened yesterday and I was lucky enough to be their very first customer. 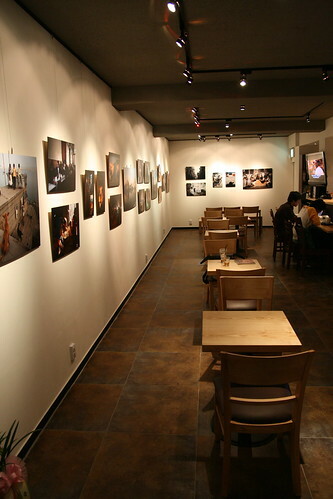 This cute little cafe serves a reasonably priced ice coffee, but the real draw is the photo exhibition they have on. From now until the 15th of June they are presenting "The Story of India" with photos by Kim Hyo Jin and Lee Hyun Suk. Phototelling is worth checking out if you're in need of a coffee and can't face going to some dreadful international chain. 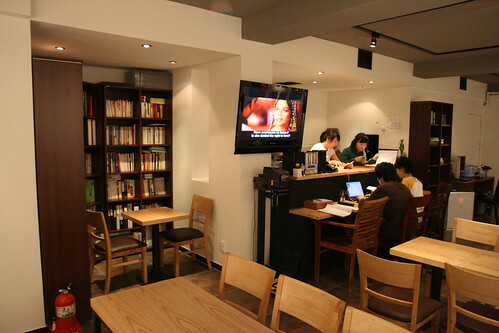 Come out of exit 1 of Hyehwa station, cross over the road and take the side street by Coffine Gurunaru. Phototelling is just past the methodist church, on the right hand side underneath Terra. You can visit their website here or call them on 02 747 7400. 저 역시 당신을 첫 손님으로 기억합니다.